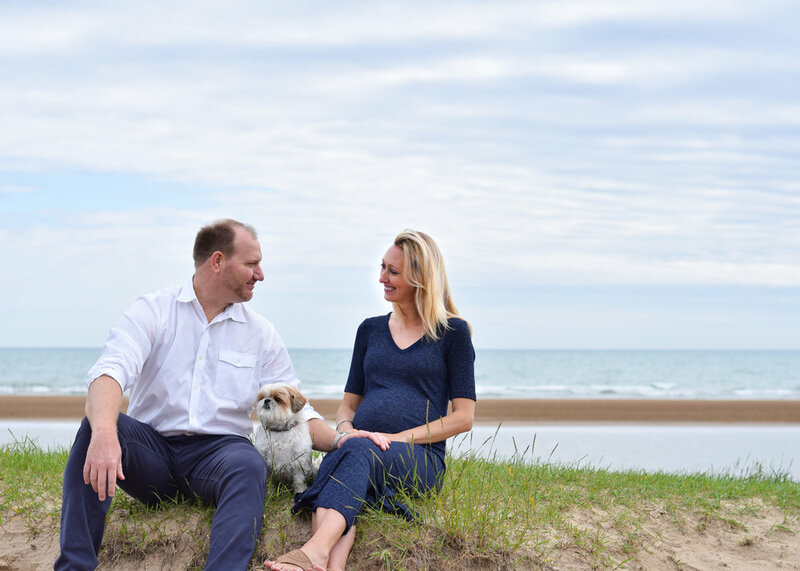 A few weeks ago I had a privilege of taking photos for a lovely couple who is awaiting the arrival of their first human baby. I say human baby because Melissa and Nick already had the sweetest fur baby, Sawyer, who we of course had to include in the session. Chicago had days of rain leading up to the scheduled session so my fingers were crossed all week it would clear in time to shoot at our planned location. Luckily the clouds began to part the morning of and although we had to step around some puddles and flooded beaches we were able to use Montrose Beach as a beautiful backdrop. Obviously Sawyer has a future in modeling if he chooses...i mean check out his over the shoulder action. It was such a privilege to capture this special life stage for such a kind loving couple and I hope to capture more special moments for them in the future.